The heating body of the non-oxidized vacuum sintering furnace is located on both sides of the furnace, and there are circulating air ducts and heat circulating fans in the furnace. No oxidation of vacuum sintering furnace for melting point is 1000 ℃ or so commonly non-ferrous metal and alloy melting. 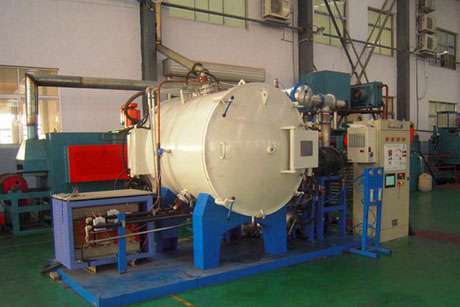 The non-oxidized vacuum annealing furnace is mainly composed of natural gas, electricity and diesel heating. 1. In order to ensure the temperature of the vacuum sintering furnace, avoid the heat radiation, it is necessary to add two layers of carbon fiber to the heating crucible, and then a thermal shield is needed. 2. When starting the water pump, ensure that the cooling system of the furnace body and the induction loop of the vacuum furnace are in normal circulation, and adjust the water pressure to keep it within the range of the regulation value. 3. Check the power supply system of the vacuum pump, and see whether there is a slack in the belt of the belt, and whether the vacuum pump oil is in the middle line of the oil seal observation hole. 4. Vacuum furnace body, medium frequency power supply and the cooling water source of the induction coil, the water in the reservoir must be filled, and there should be no impurities in the water. 5. Check the condition inside the vacuum furnace. It is required that there is a first level of hygiene. Check whether the sealing of vacuum belt is elastic and the size is qualified.